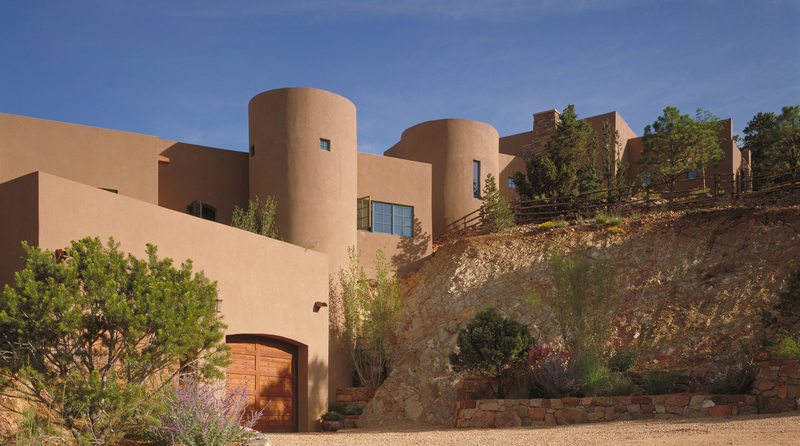 Given the steep and narrow character of the site a historical reference was made to Italian Hill towns with their varying forms and levels as well as their integration into landscape features. 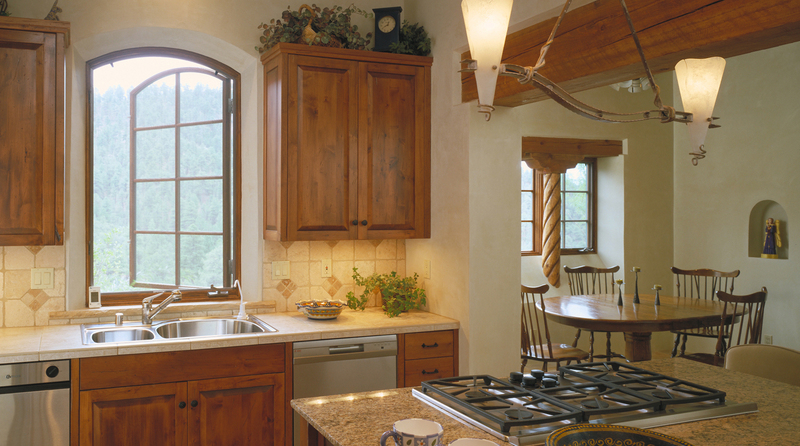 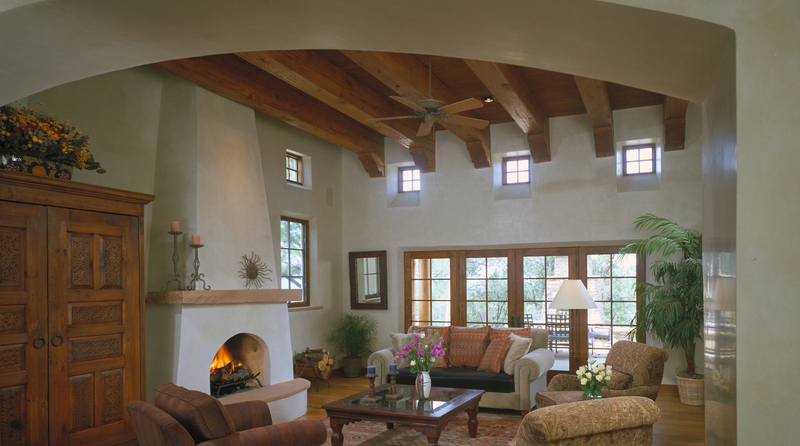 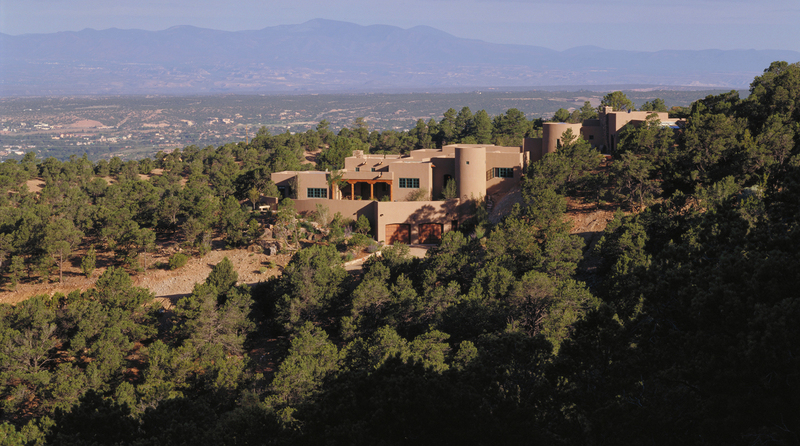 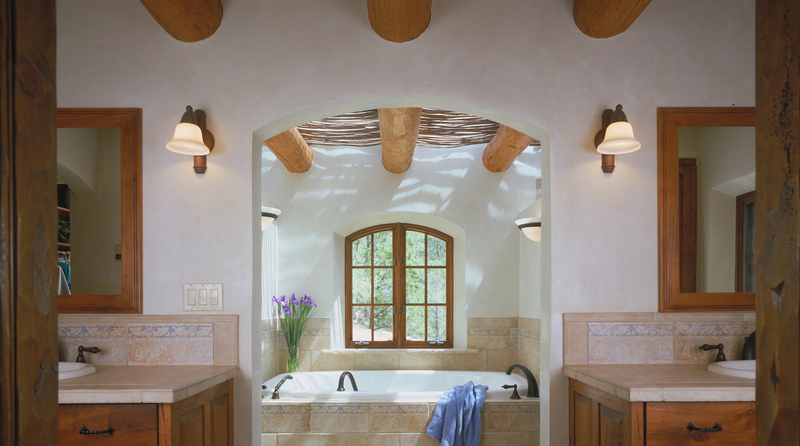 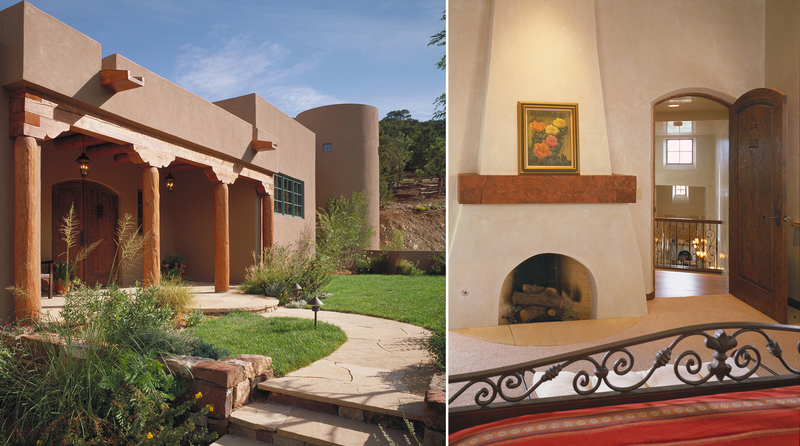 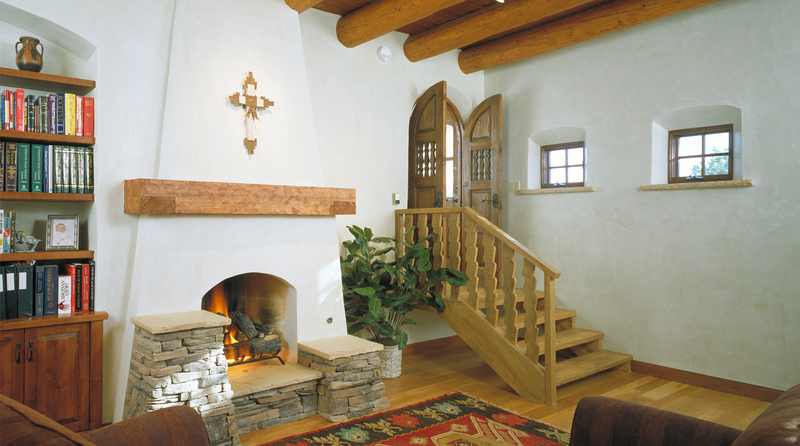 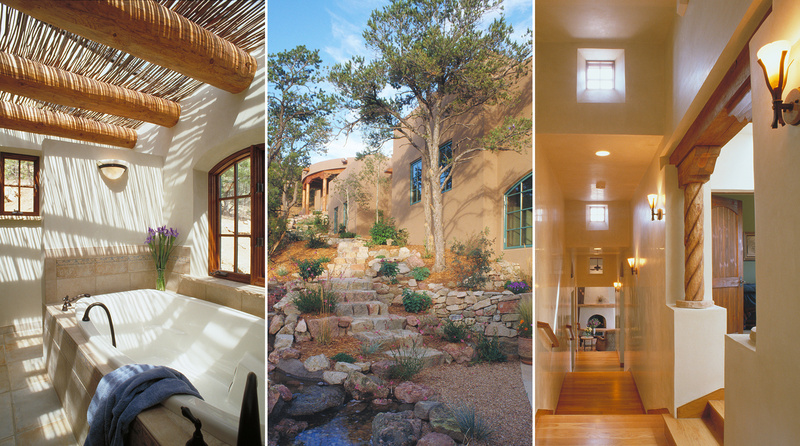 This reference was synthesized with a contemporary expression of the Santa Fe style by way of familiar finishes and materials while at the same time adhering to a more contemporary expression of a clean geometric plan & proportions. 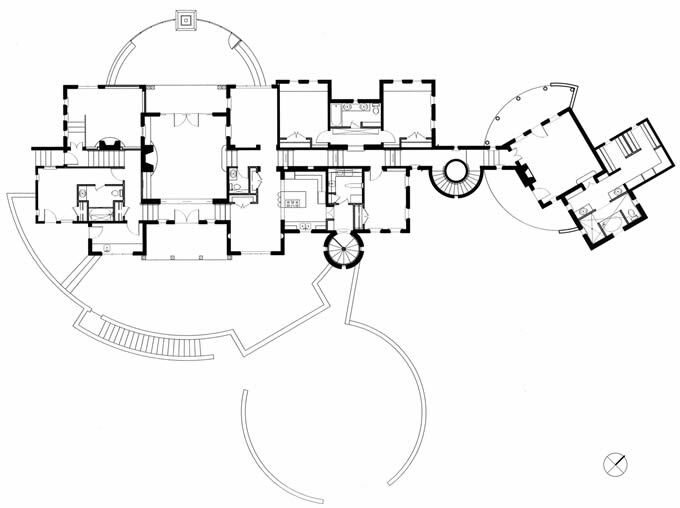 The house is an expression of a city and the city is an expression of the world.